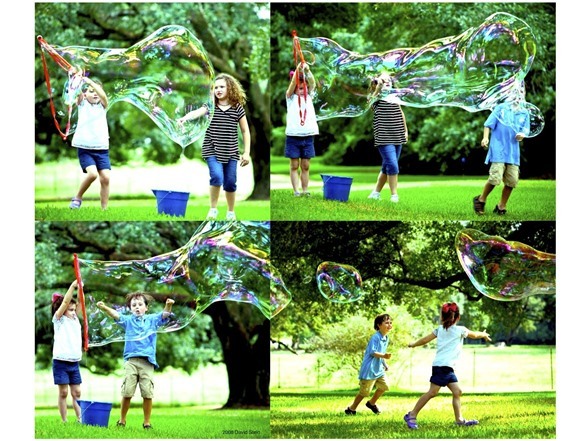 Send giant bubbles flying (even 20-footers or more), amaze your friends, and scare the neighbors. Huge, easy, outdoor fun all year long for kids ages 6 to 96. 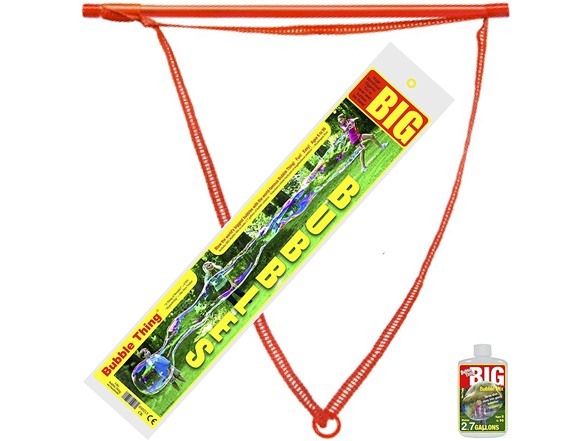 The 90-inch fabric loop is woven to absorb and release maximum bubble soap. 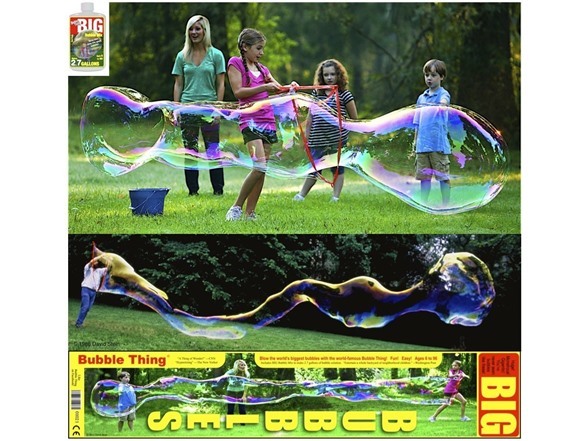 The slide-control lets you shape bubbles of endless variety---not just globes or tunnels, but double-bubbles, bubbles-in-bubbles, kids-in-bubbles, and monster protoplasmic bubbles that seem almost alive.